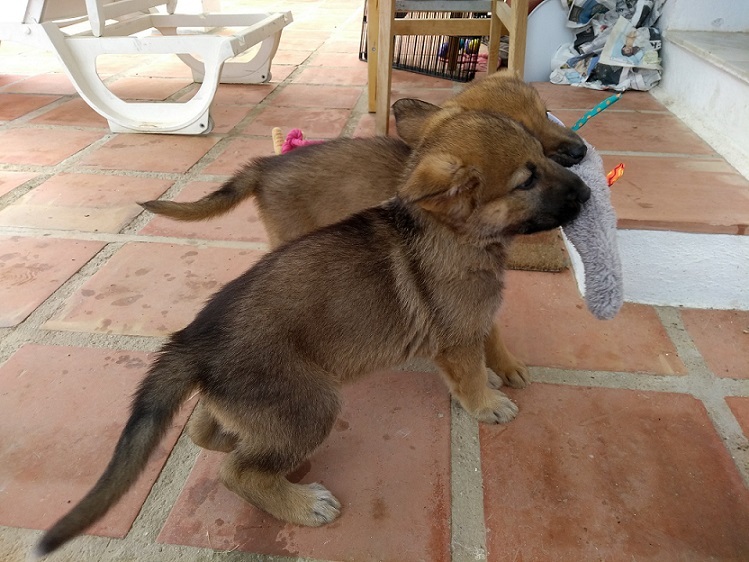 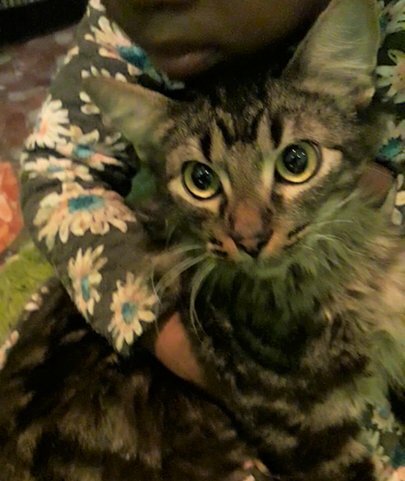 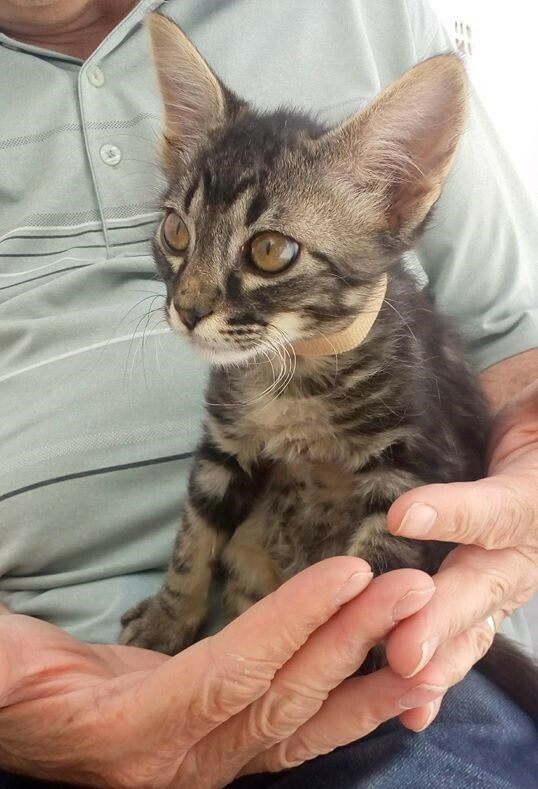 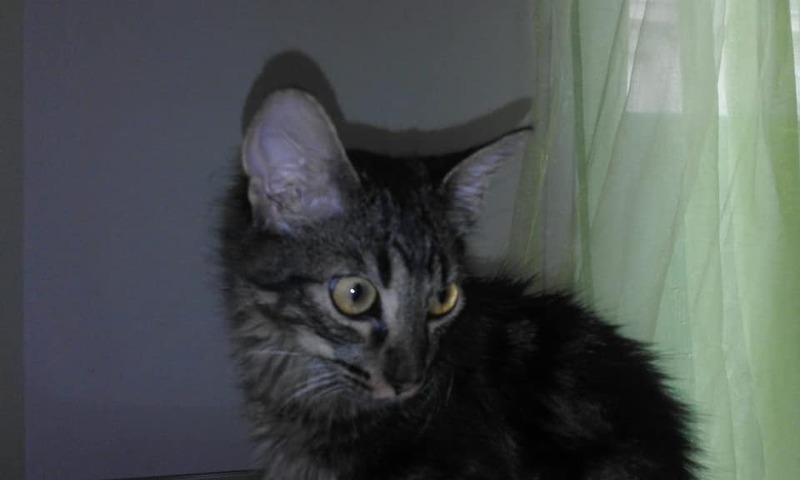 Frodo (was Simba) is now living happily in his "Forever Home"
Hi, my name's Simba. 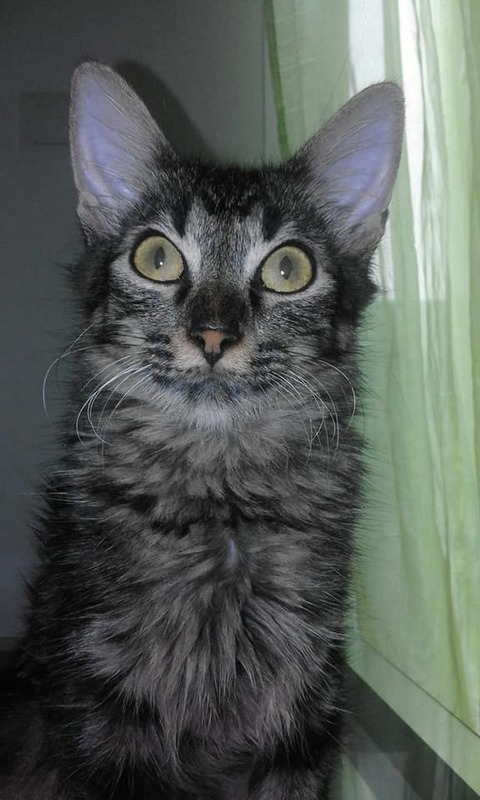 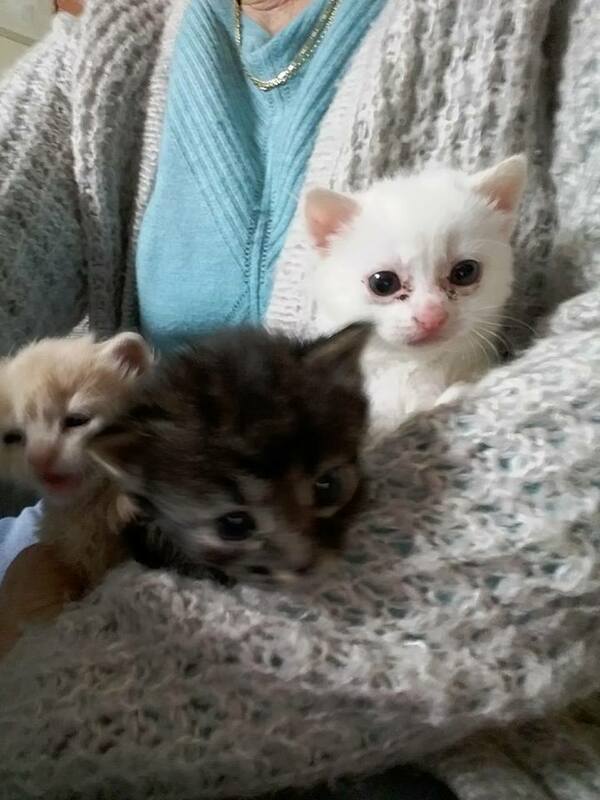 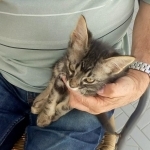 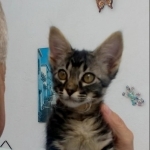 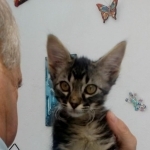 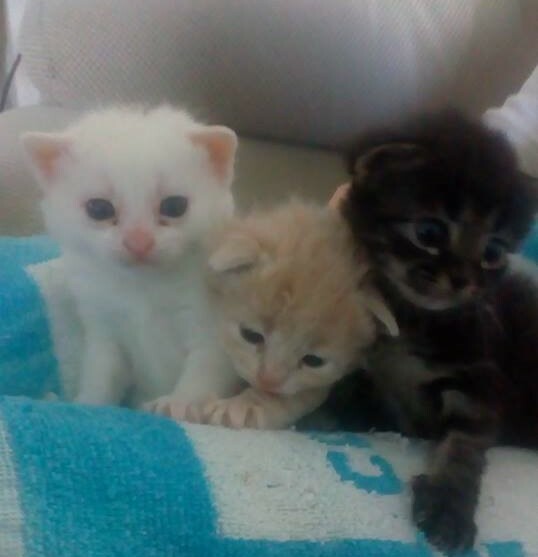 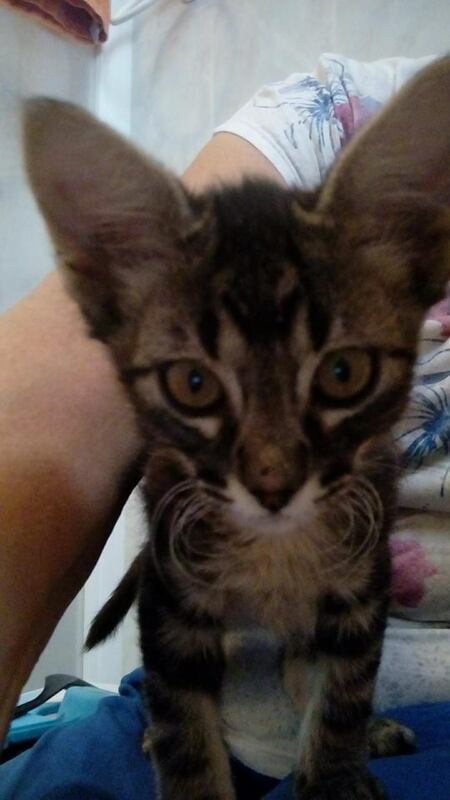 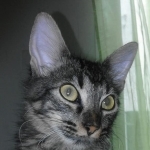 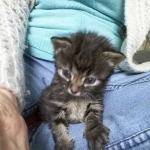 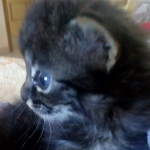 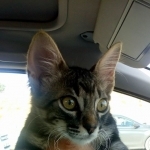 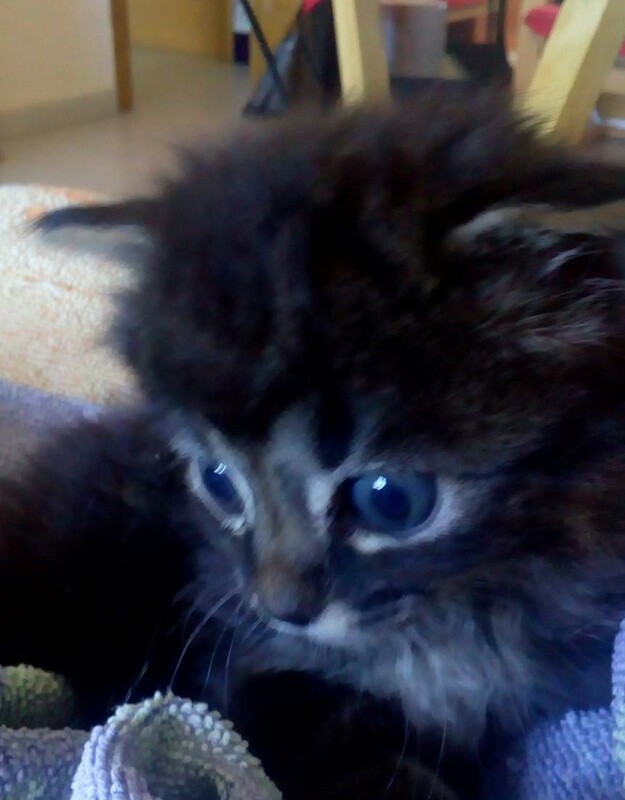 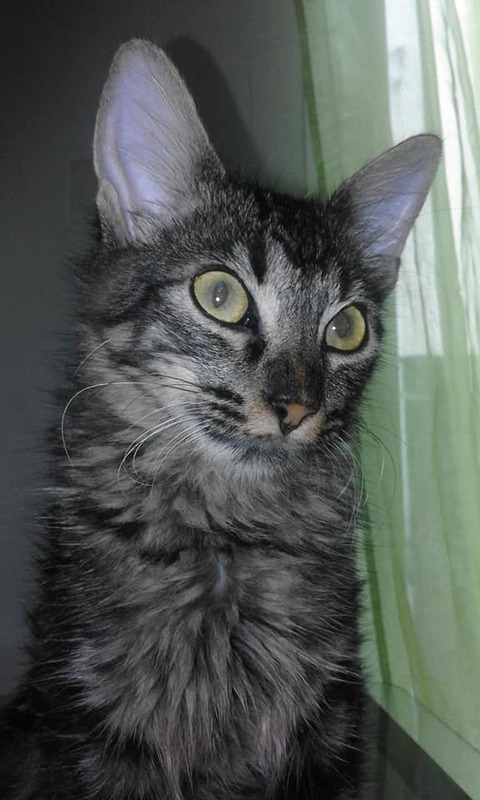 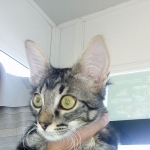 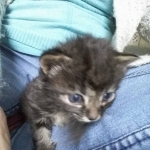 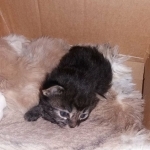 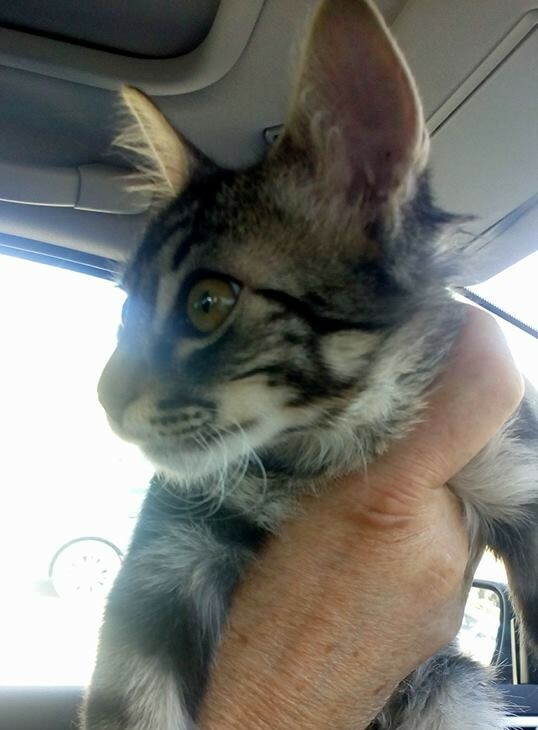 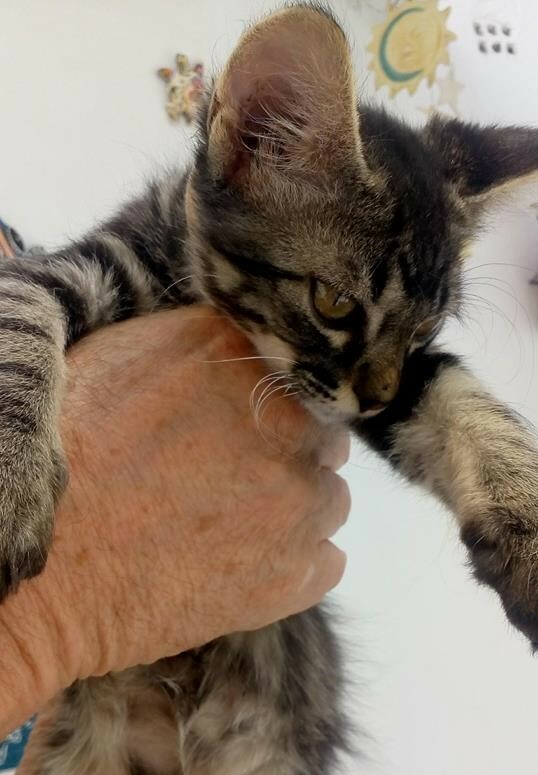 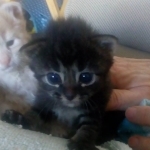 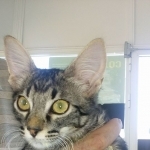 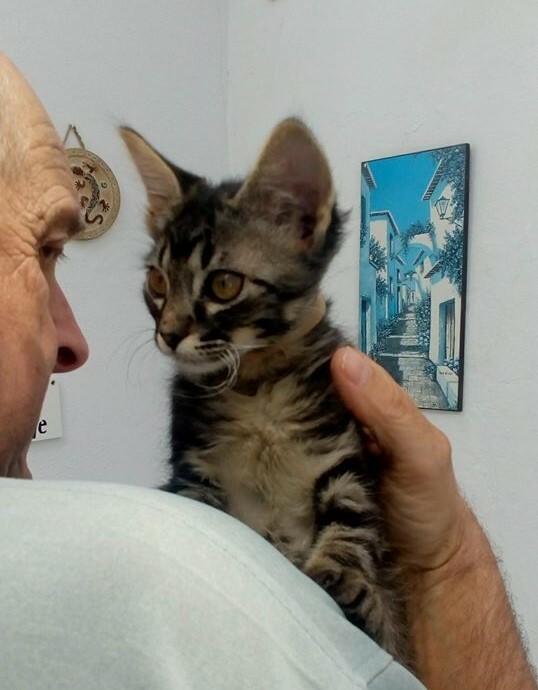 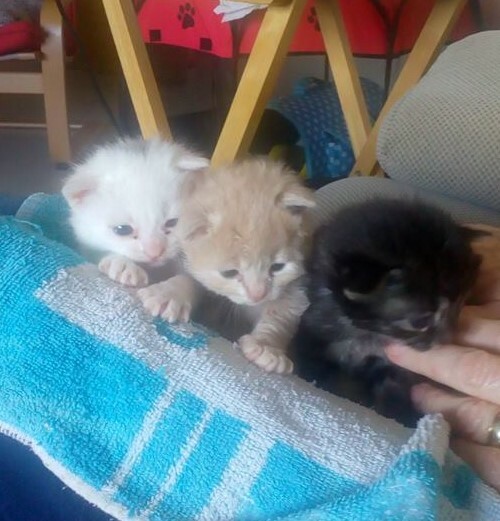 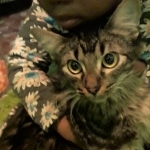 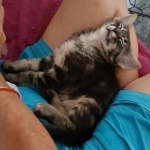 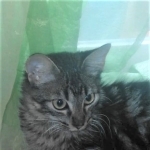 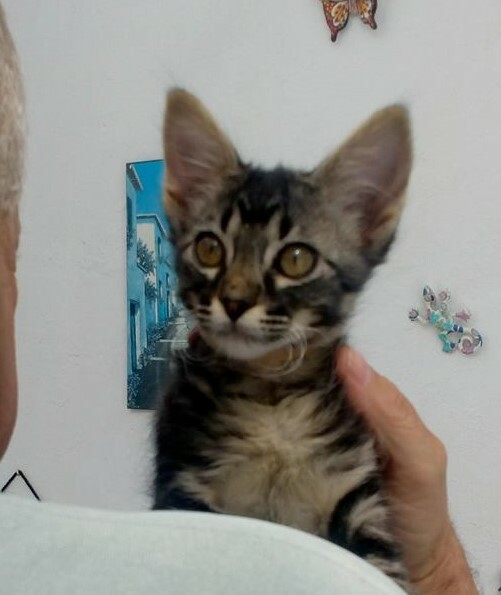 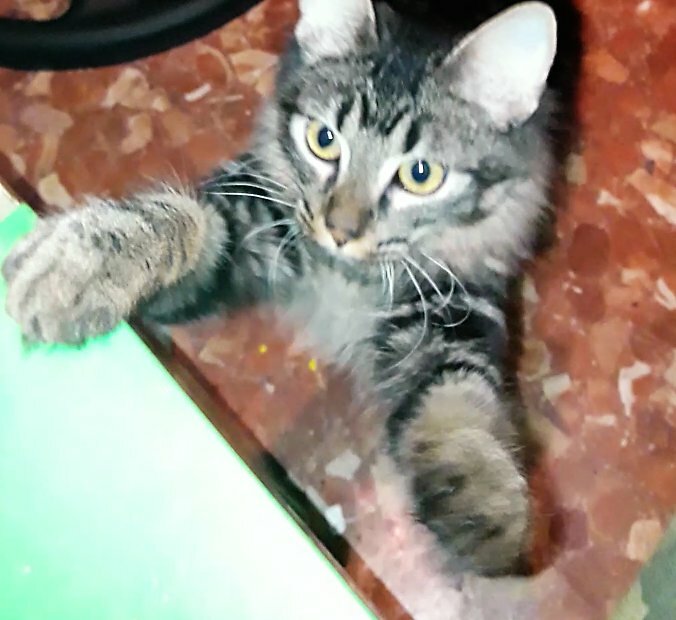 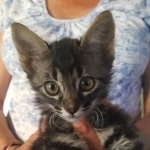 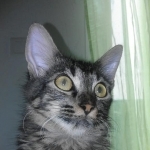 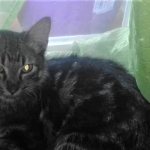 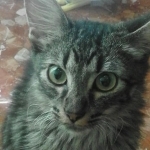 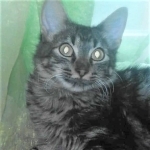 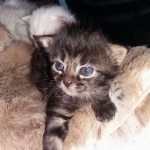 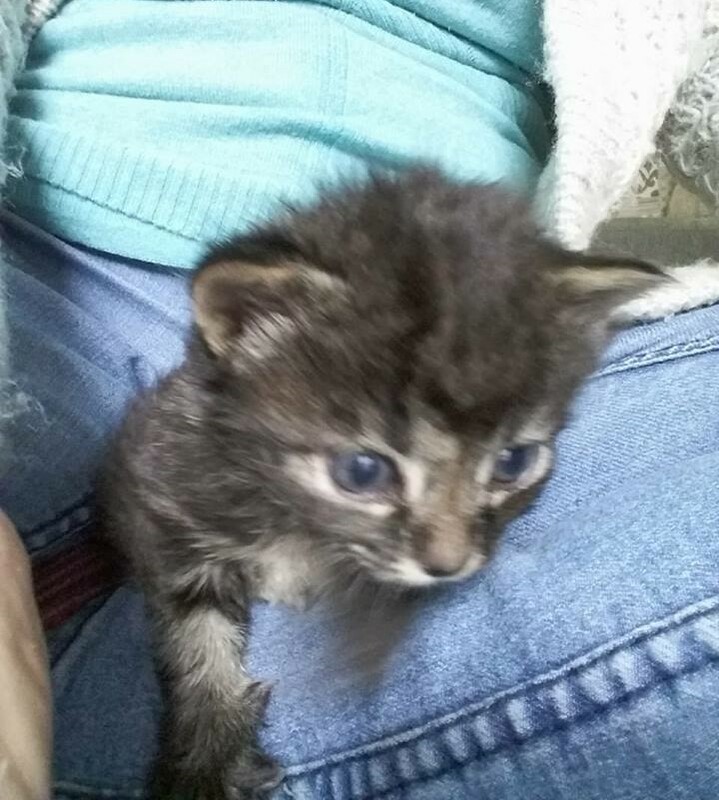 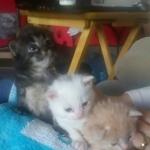 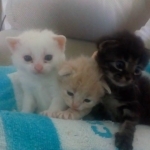 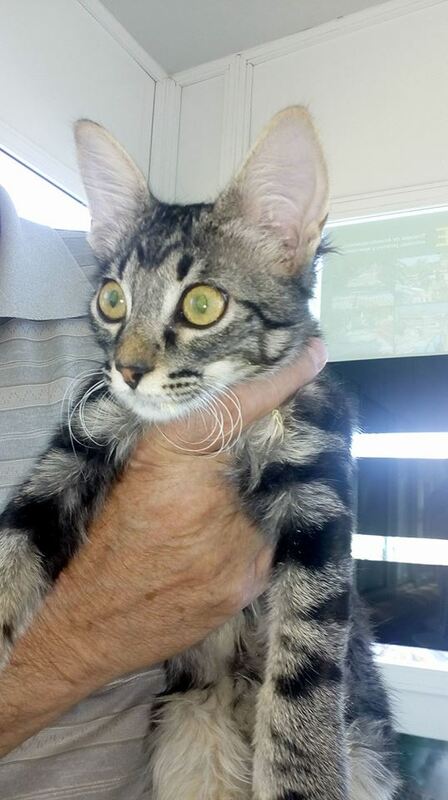 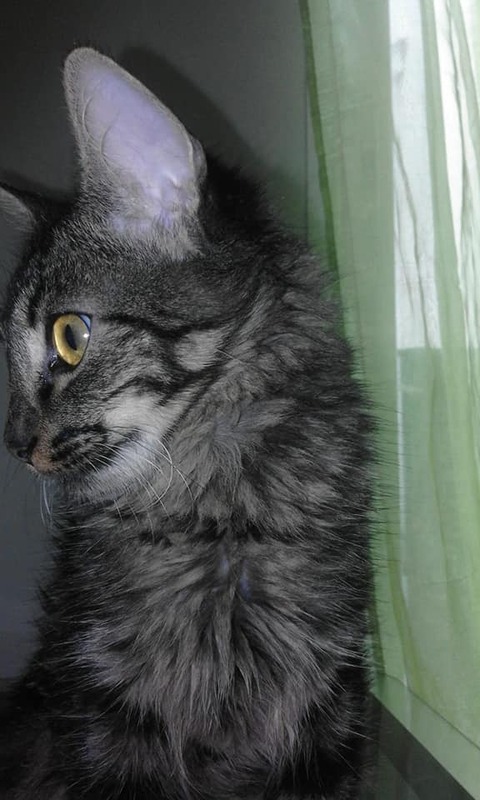 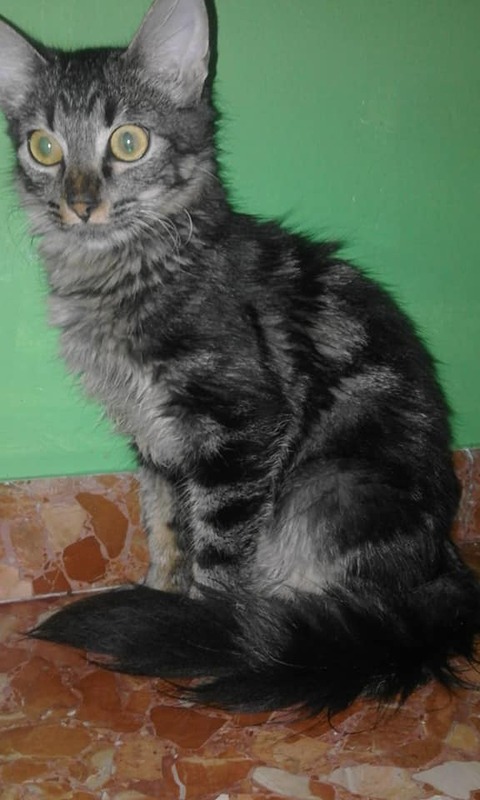 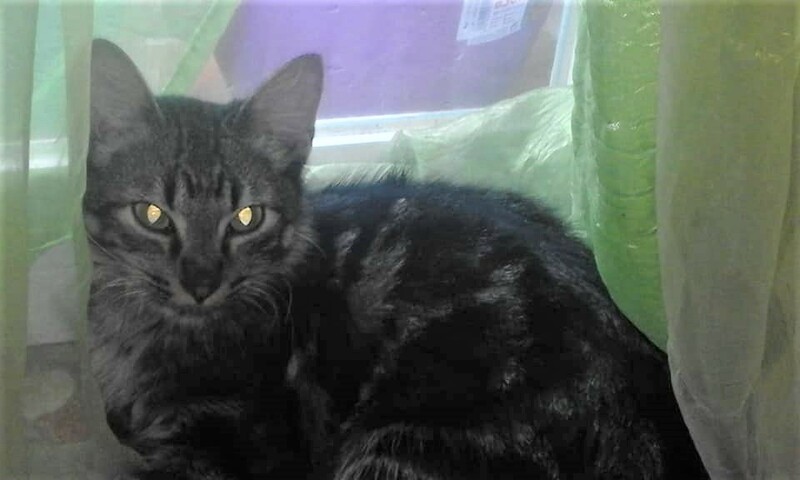 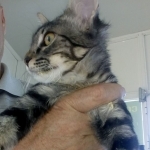 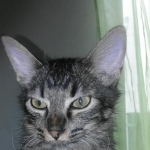 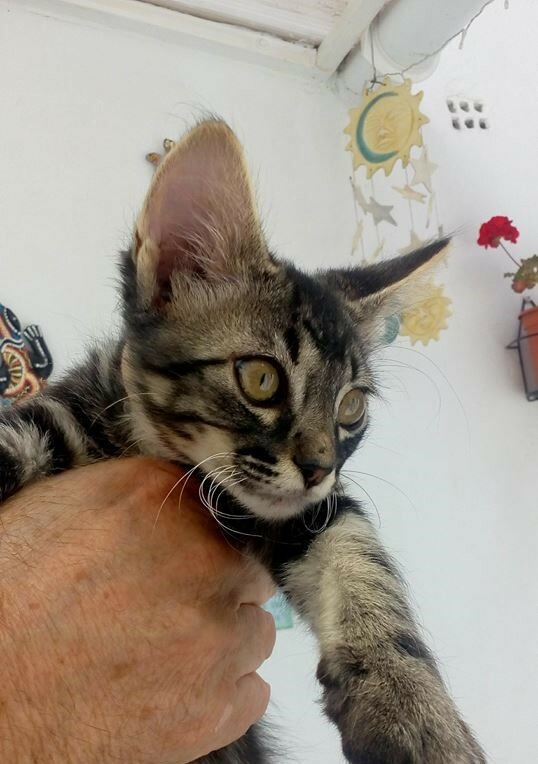 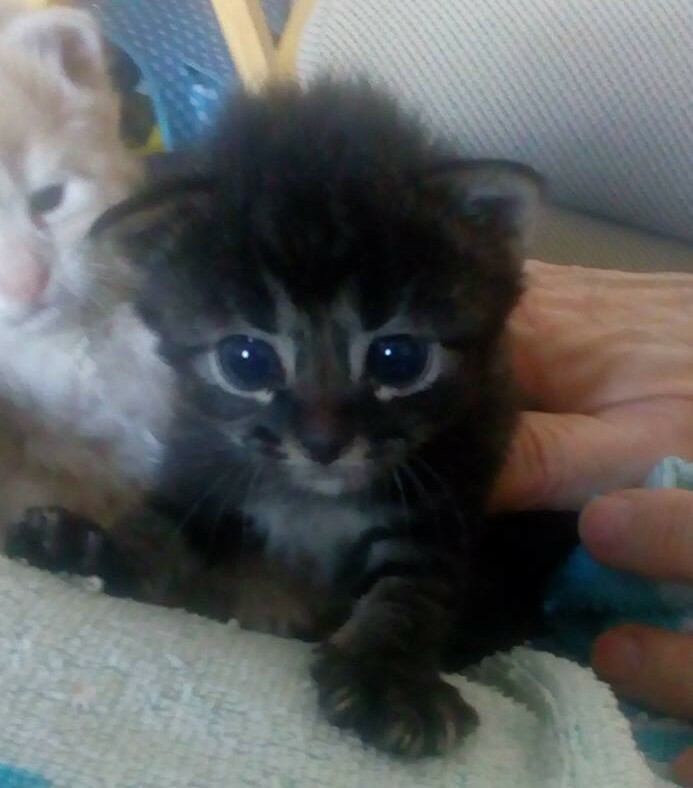 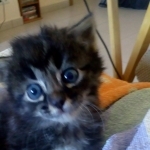 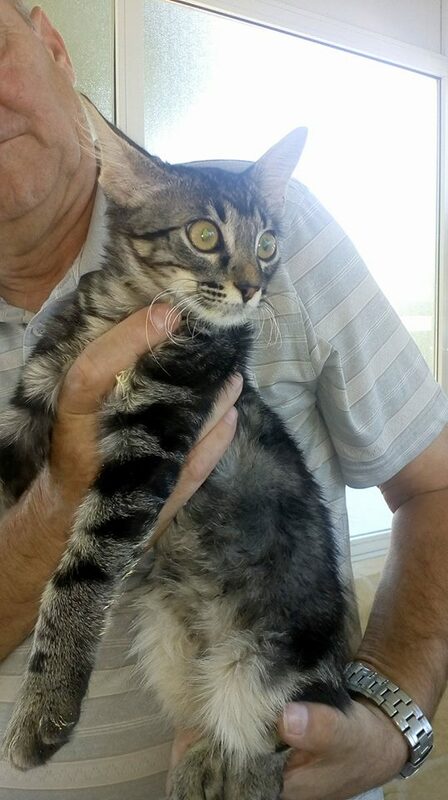 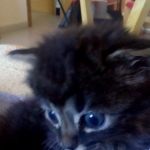 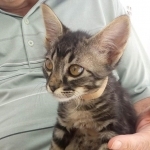 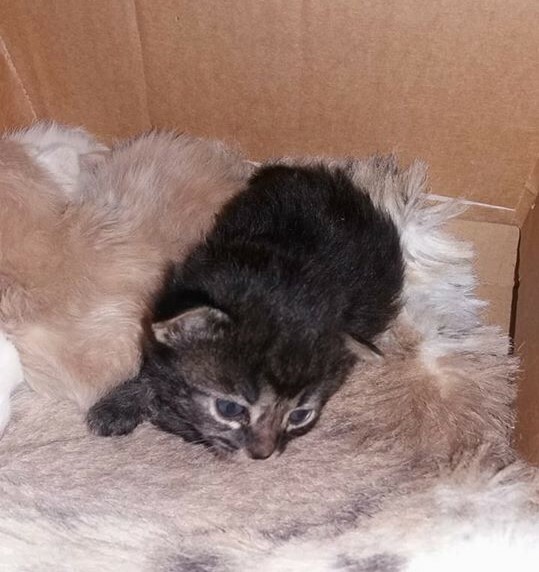 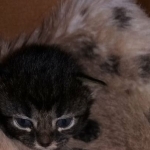 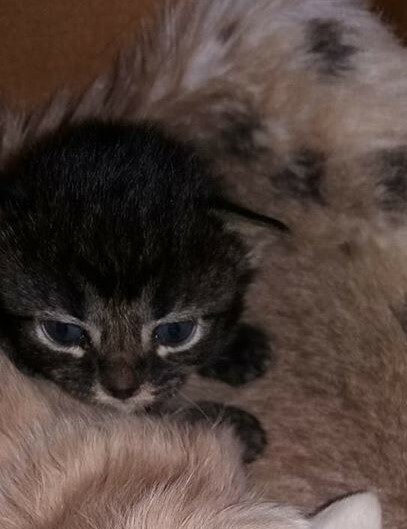 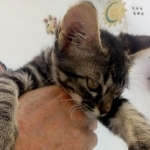 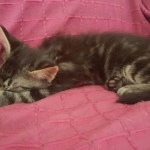 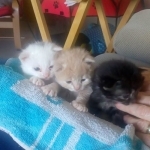 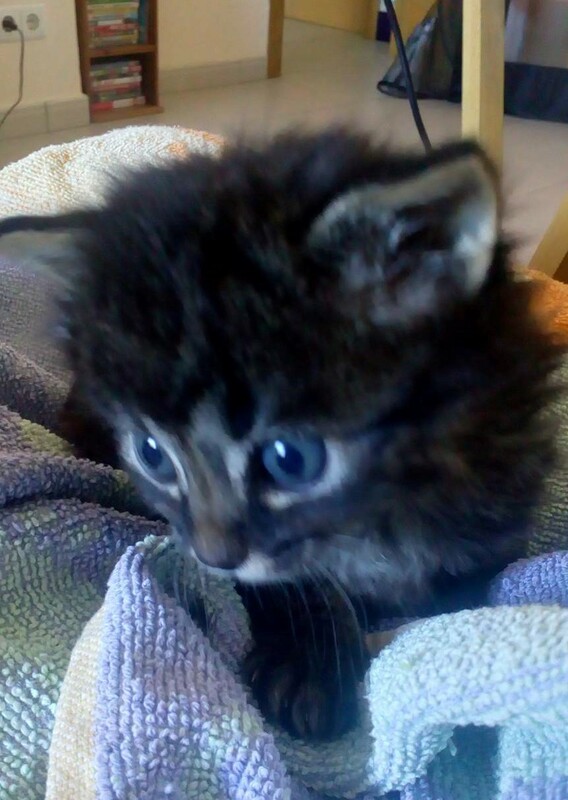 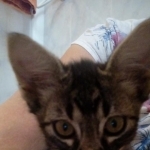 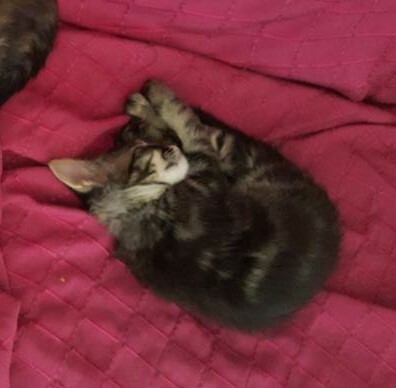 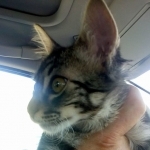 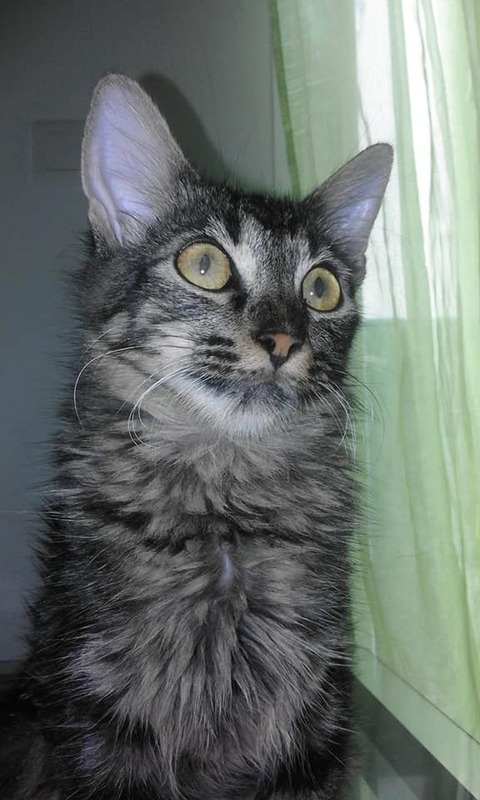 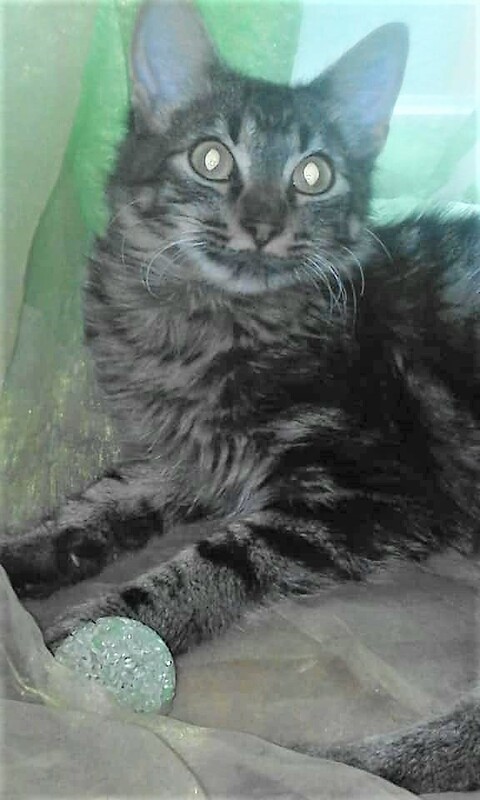 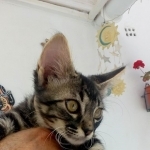 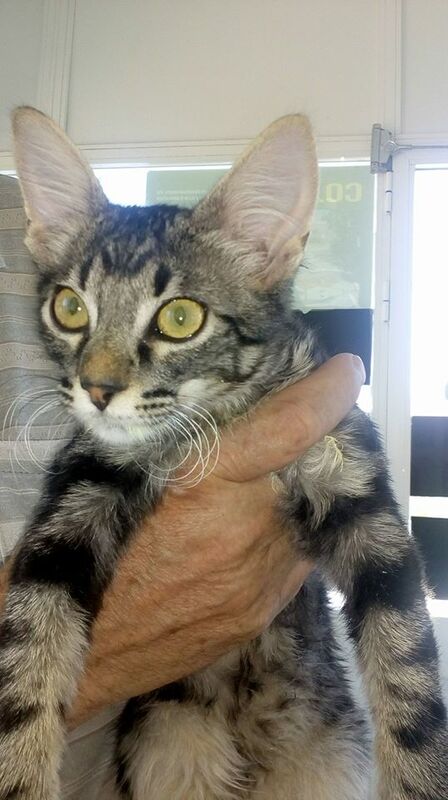 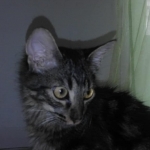 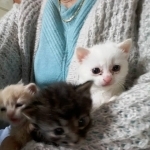 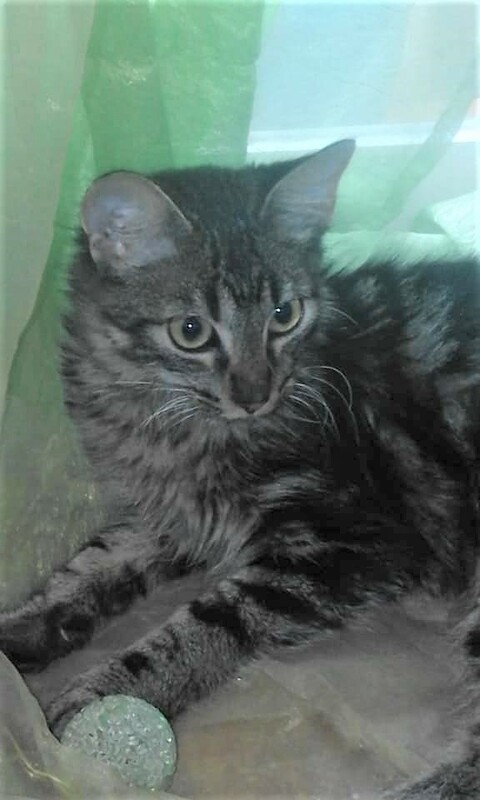 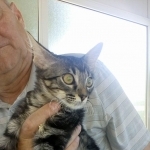 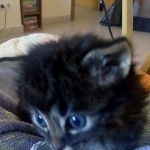 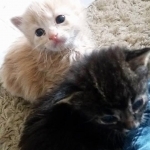 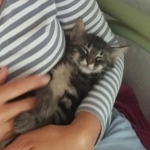 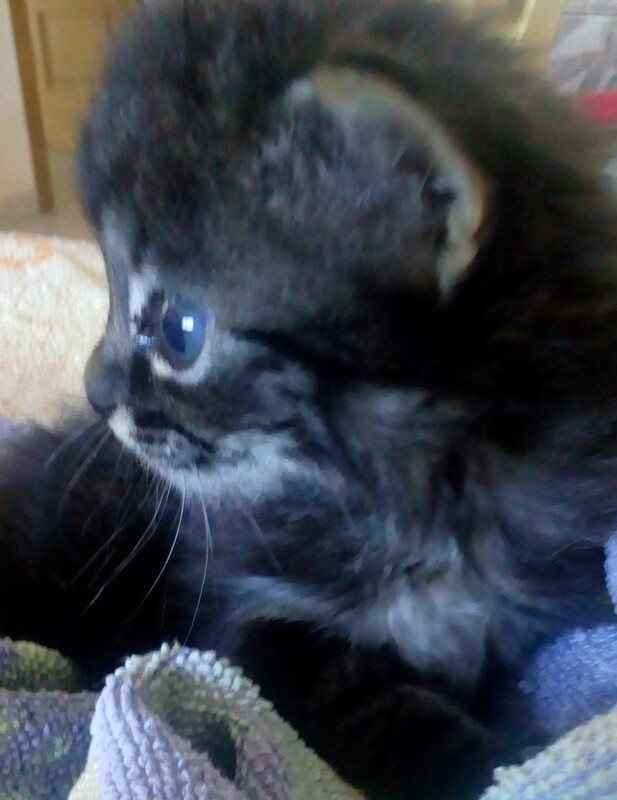 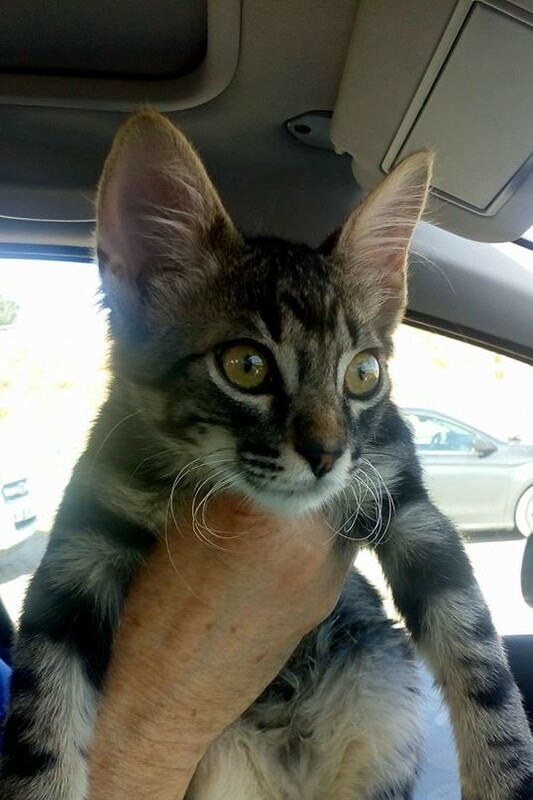 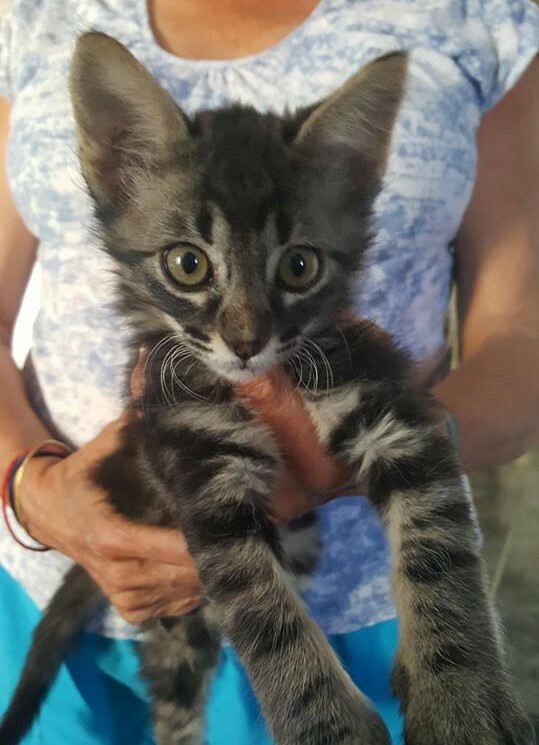 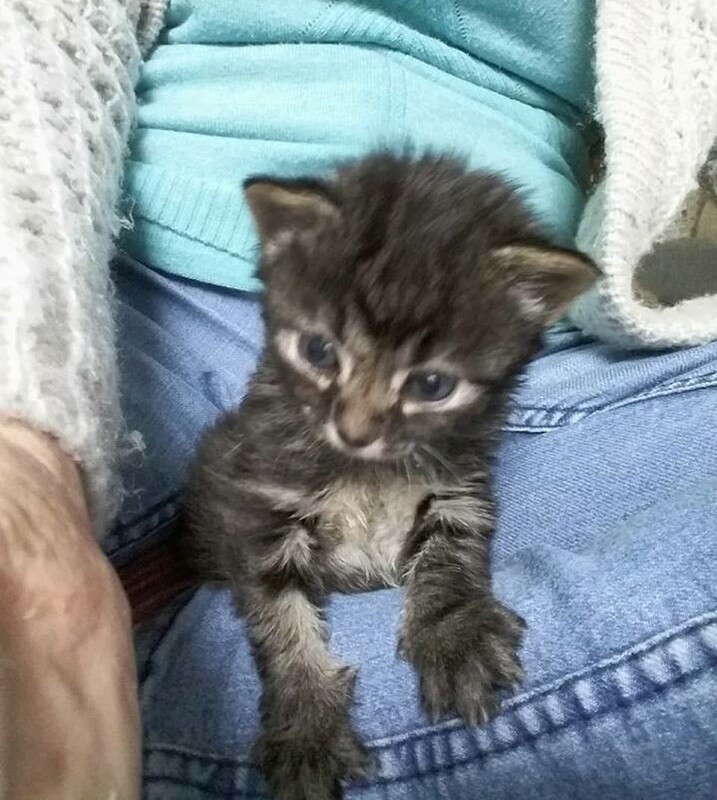 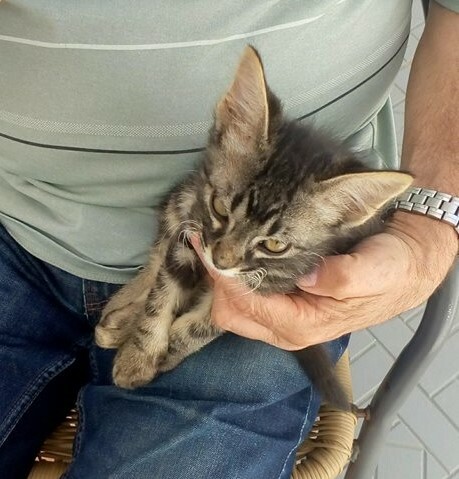 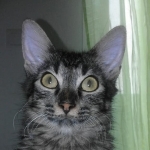 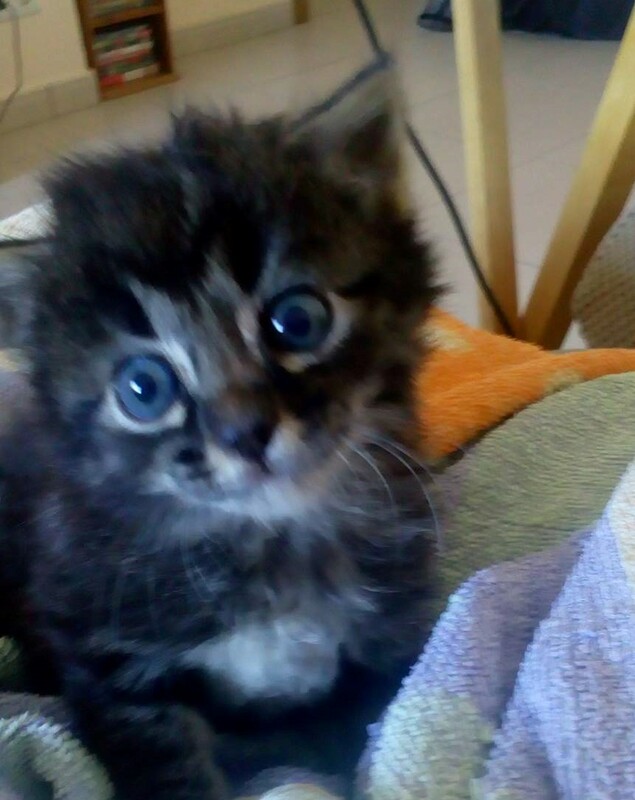 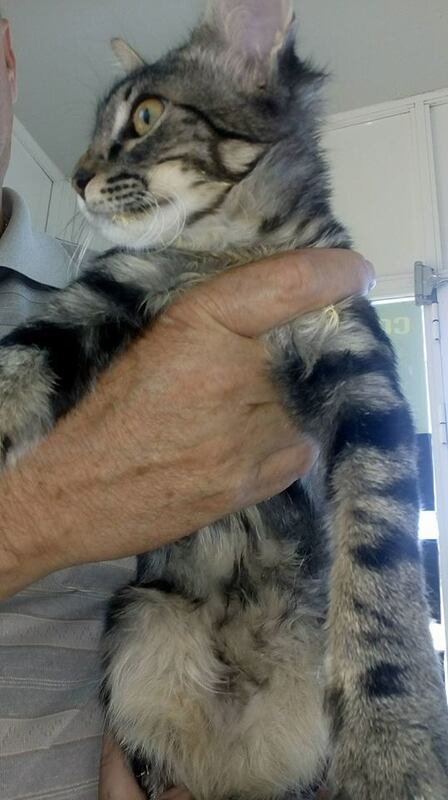 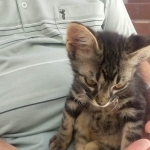 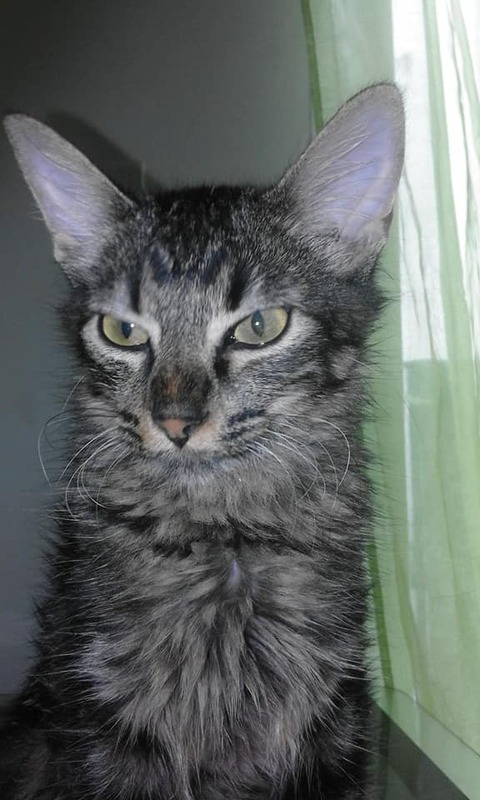 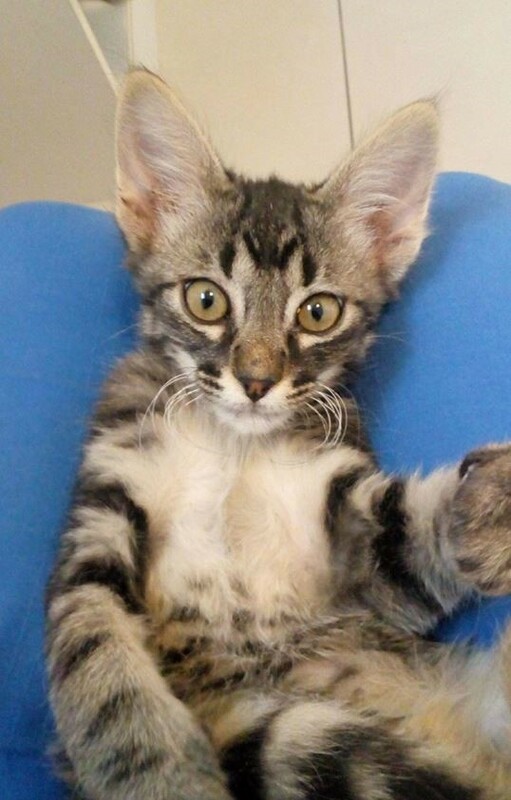 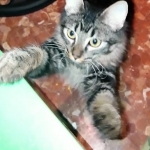 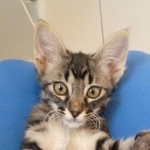 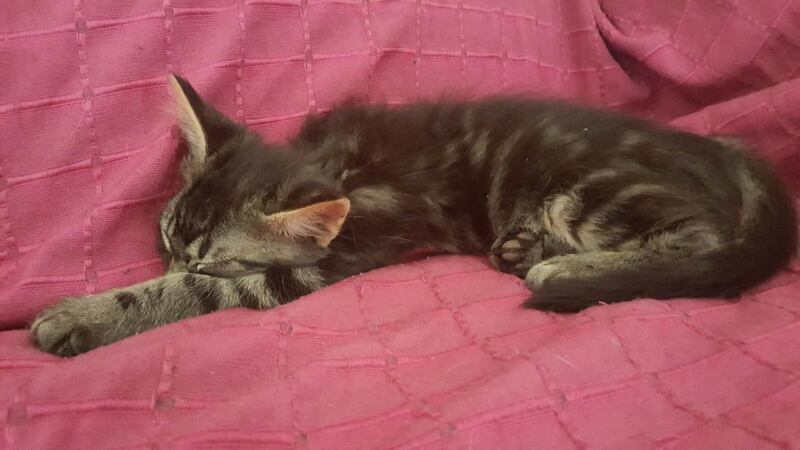 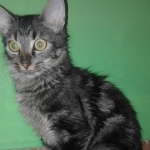 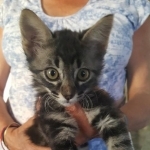 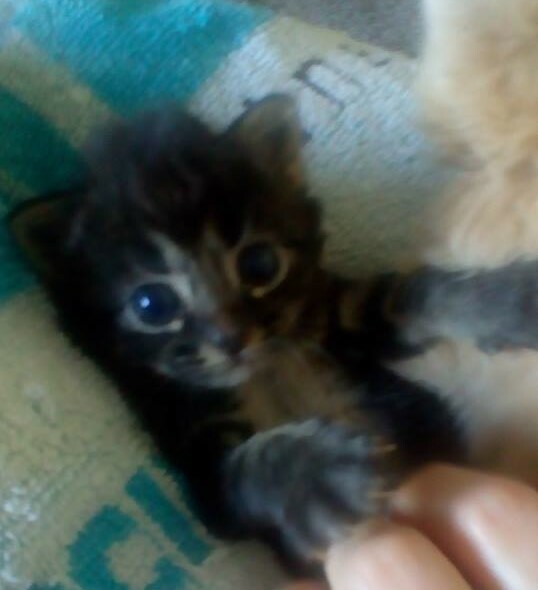 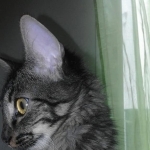 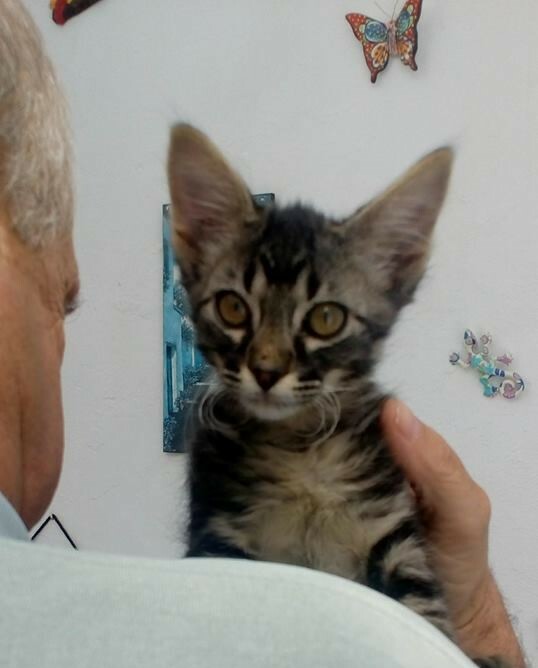 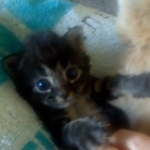 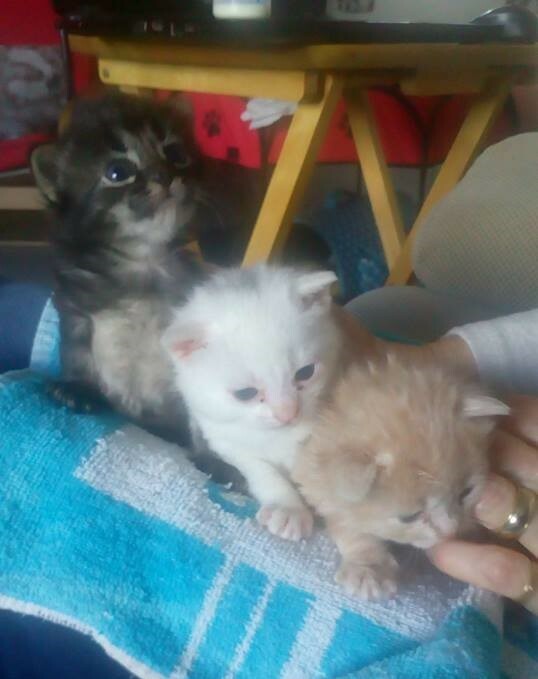 I am a young male kitten born around 12th March. 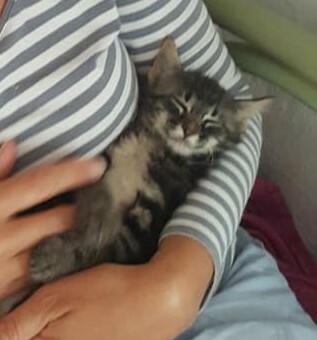 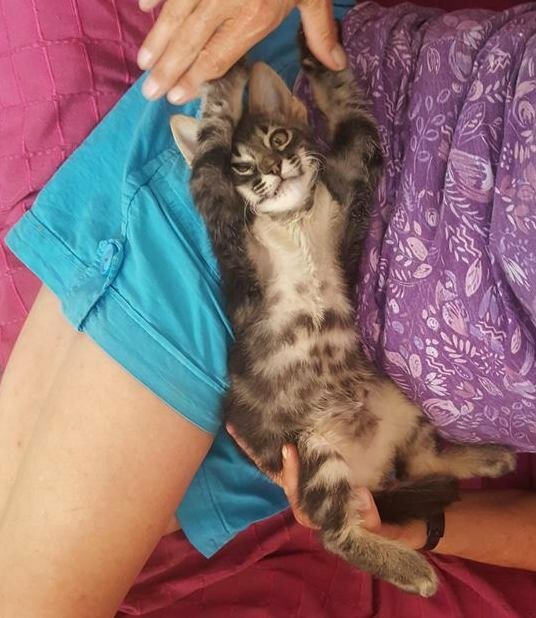 After a bad start being left in a box by some bins I have grown into a very happy healthy kitten. 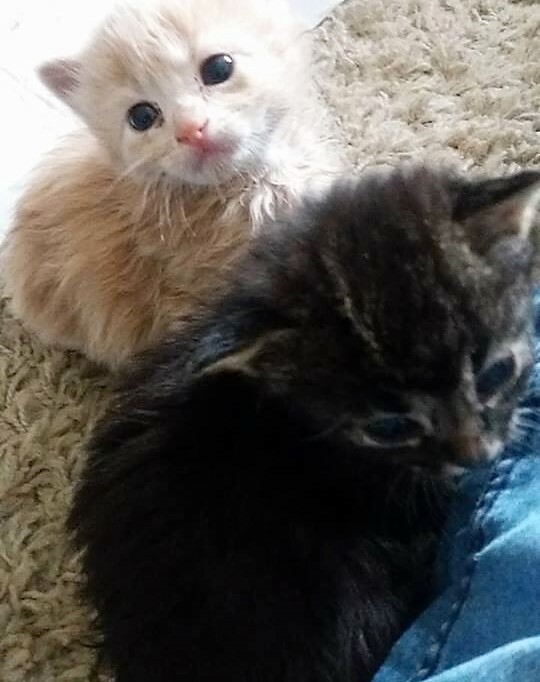 I live in a foster home with my sister Purdy. 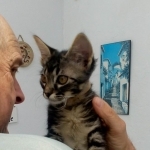 My foster carer said "Simba is extremely sweet, he absolutely loves a cuddle. 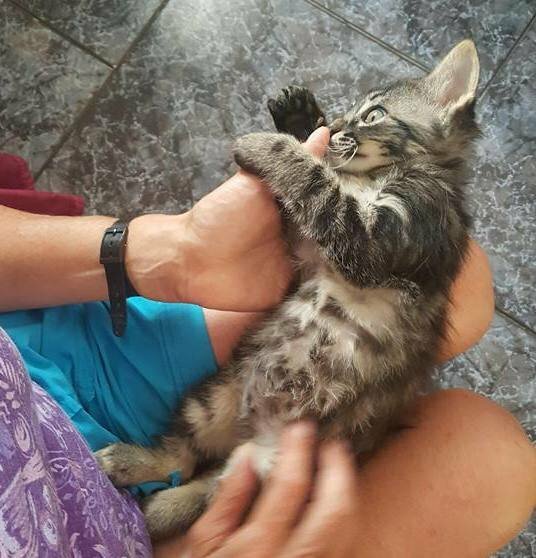 Quiet stroking time is such an important part of his routine that I'd go as far as to say 'Simba needs purring just like a baby needs burping'. 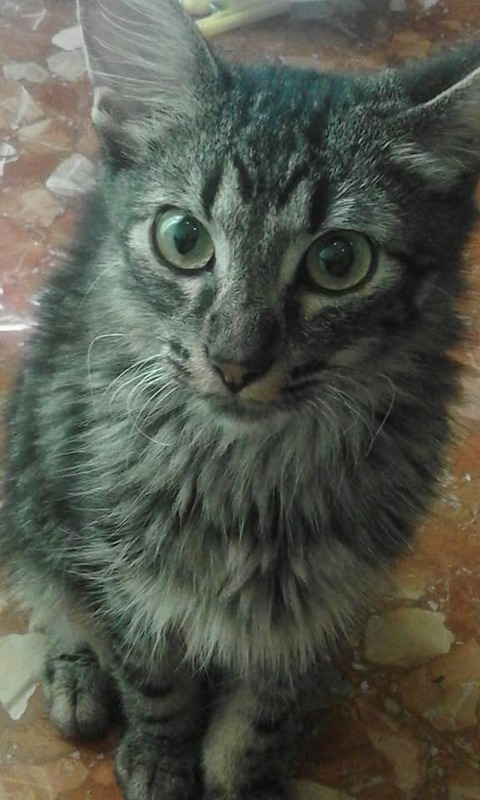 Simba loves toys, he thinks that everything is a potential toy. 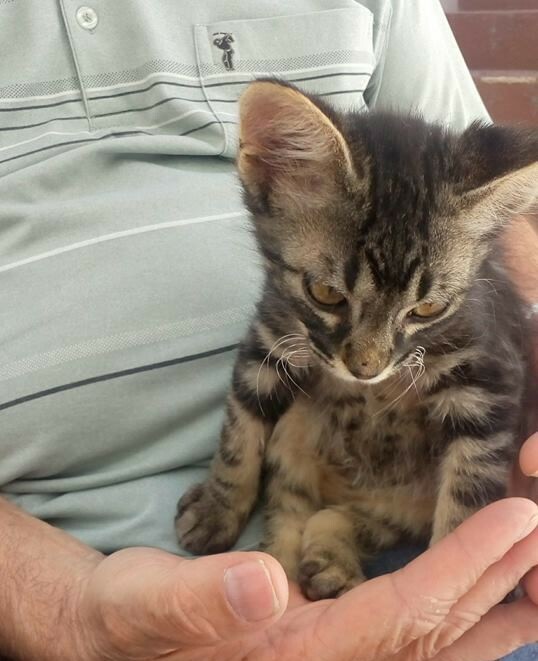 He is extremely comfortable around young children and dogs". 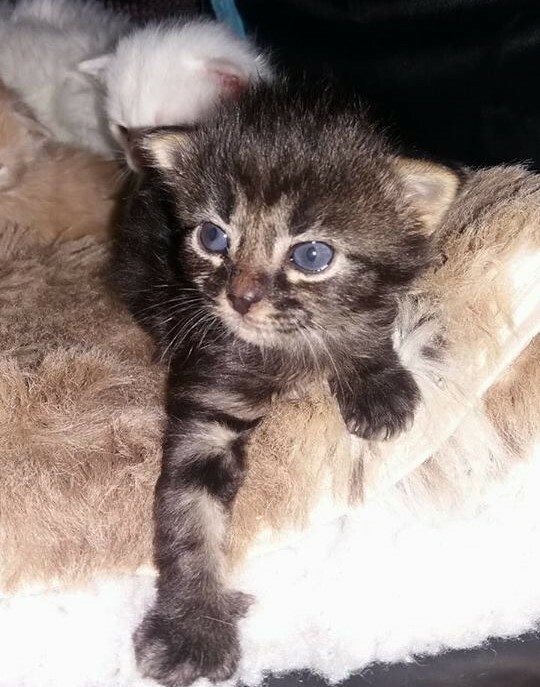 I would love a home of my own. 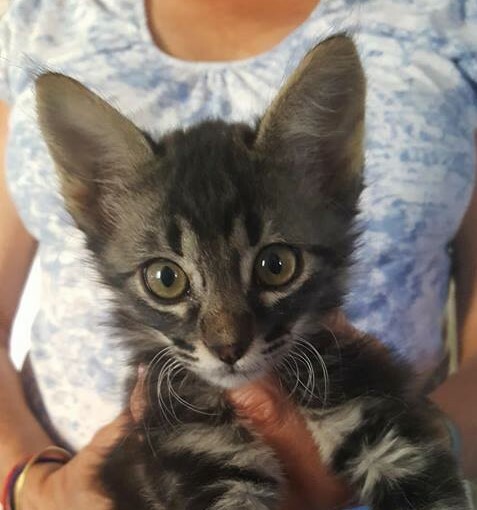 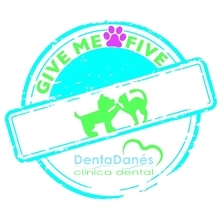 Would you like to offer me my forever home? I will curl up on your lap for purr times.